Light up a gloomy Friday with a bright and colourful bowl of deliciousness! Visit It Doesn’t Taste Like Chicken for amazingly delicious and easy vegan recipes! 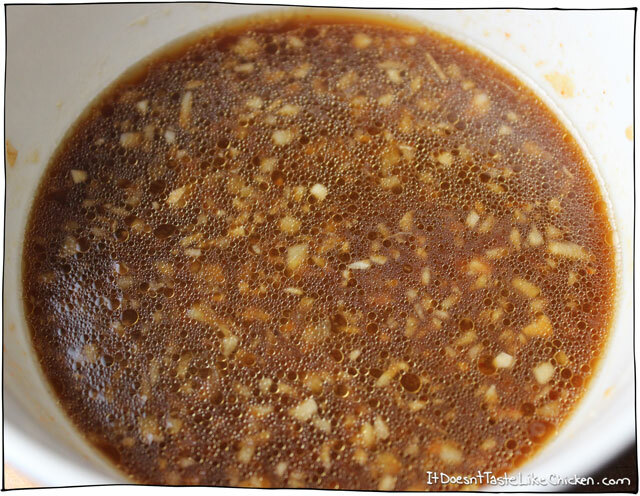 Finely mince the garlic and ginger and put in a small bowl. Add all the remaining dressing ingredients and mix. Set aside so that the flavours can intensify as you chop your veggies. You can also make this dressing ahead of time and store in an air tight contained in the fridge. Thaw the edamame. I always do this by filling a bowl with warm water and letting the edamame soak. It takes about 5-10 minutes for the edamame to thaw with this method. 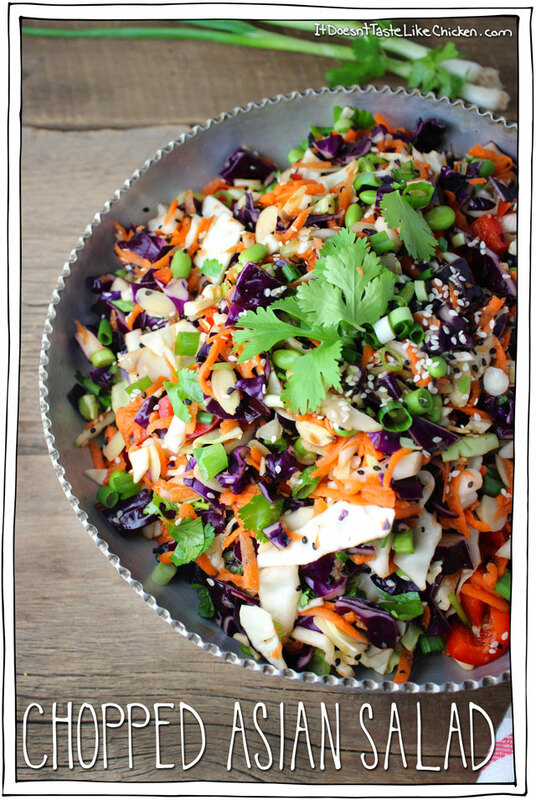 Chop the red and green cabbage, red pepper, green onion, and cilantro into into small similar sized pieces. 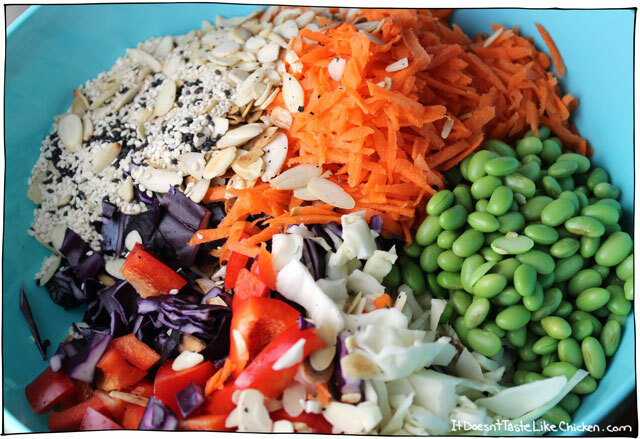 Now in a large bowl, add the thawed and drained edamame, grated carrots, chopped cabbage, red pepper, green onion, cilantro, sliced almonds, and the sesame seeds. Pour the dressing over top and toss well to combine. You can serve this right away, or you can let everything marinate and serve later. It will just get more flavourful as it soaks. This makes it a great recipe to bring to pot lucks as it just keeps getting better as it sits, and is even still good the next day!